Matcha green tea has been a popular drink for centuries. Matcha green tea may very well be one of the oldest drinks in the world. Have you ever been curious as to why matcha green tea has been so popular for so long? For a start studies have shown the numerous health benefits of drinking matcha green tea. It is a very potent source of antioxidants. Every living thing needs oxygen to survive and humans are no different. The body needs oxygen to function properly. Oxygen is, of course, breathed in from the air around us. Oxygen is used to burn up glucose and fat in order to give us energy and heat. So you can see why oxygen is so important. Unfortunately you can have too much of a good thing and too much oxygen can cause some pretty nasty side effects. One of the by-products of oxygen is free radicals. Free radicals are also able to change other molecules in to free radicals by interacting with them. When this happens it stops the molecules from functioning properly. If this problem isn’t taken care of then your cells become damaged and will eventually be destroyed. When the cells are damaged like this it can also lead to degenerative conditions including Alzheimer’s disease, rheumatoid arthritis, arthrosclerosis, cancer, heart disease and Parkinson’s disease. The good news for humans is that our bodies have everything they need to help get rid of free radicals and stop their damage. When you eat fruits and vegetables that are rich in antioxidants you flush out these free radicals. Antioxidants can also be found in other sources including matcha green tea. When you drink matcha green tea and also eat adequate levels of fruit and get you are able to boost your natural defences against cell damage and disease. The plant that tea comes from; Camellia Sinensis, is enjoyed by many because it is such a rich source of disease fighting antioxidants. The Chinese have used matcha green tea for centuries and you will be able to find some matcha green tea in almost every home in China. The Chinese see matcha green tea as a healthy drink that will improve their health and well-being. Matcha green tea is also popular in other parts of Asia including Thailand, India and Japan. Matcha green tea can be found in most natural Chinese and Indian medicines because it is a stimulant, an astringent (used to control bleeding and heal wounds), as a diuretic (to promote healthy urination), and as something that can improve the health of the heart. Matcha green tea is filled with polycatechins. These polycatechins are the reason that matcha green tea is so healthy. There are other nutrients found in matcha green tea that make it such a powerful antioxidant. Catechins themselves are powerful antioxidants. Matcha green tea also contains vitamins c, E, and A. Matcha green tea has also been found to be anti-carcinogenic, neuro-protective, cardio-protective, and also anti-microbial. The antioxidant epigallocatechin gallate, found in matcha green tea, helps make matcha green tea effective at fighting cancer. 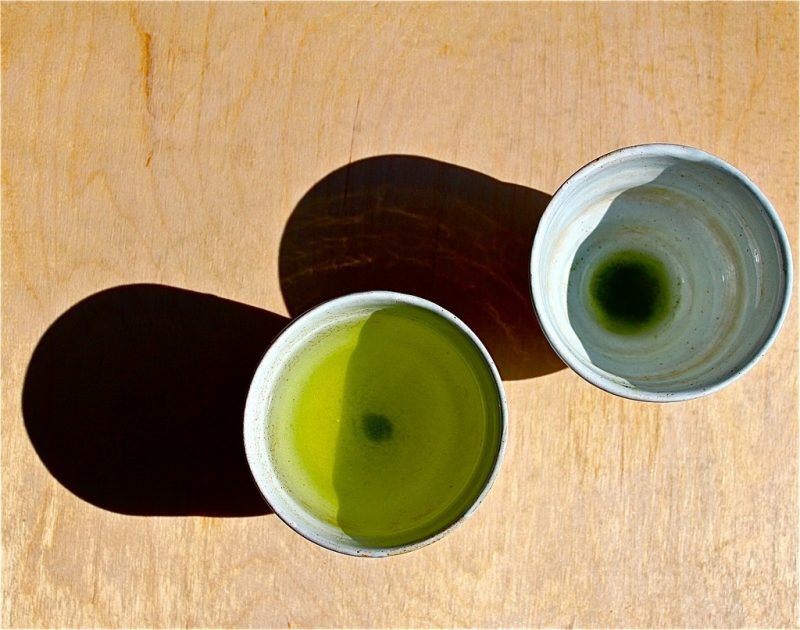 Now that you understand how healthy matcha green tea is shouldn’t you start drinking it? Drink matcha green tea and enjoy the wonderful health benefits that come with it. There are many different matcha green teas on the market these days including some that are very affordable. You can buy matcha green tea as a drink and it can also be found as an extract in health supplements. It’s recommended that you make matcha green tea a part of your balanced diet to get the most health benefits. Drinking matcha green tea is a great way to lose a little weight or stay at your current weight. Drink matcha green tea before, during, and after meals to get the most out of it. Remember that you can have too much of a good thing though. You should always drink just the right amount of matcha green tea, and not a cup more.